Whether entering Willingway for inpatient treatment or going on to graduate from the Men’s Lodge, many clients fondly remember fellow alum John Williamson. 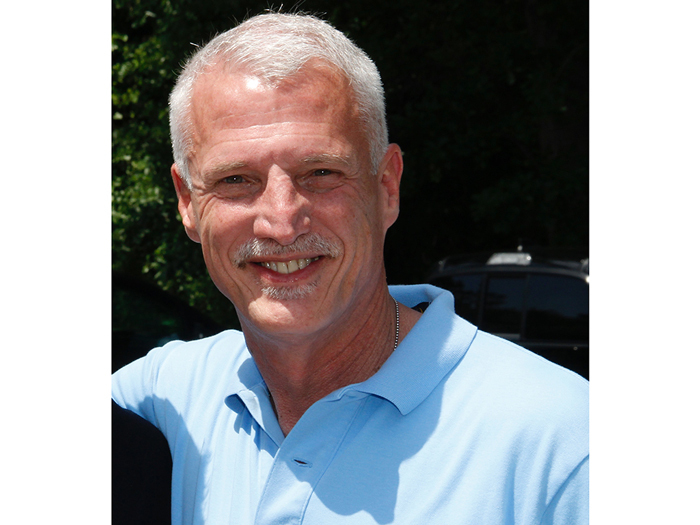 Once graduating treatment in 2010, John became a Willingway inpatient counselor and has managed Willingway’s long term residential Men’s Lodge program since 2011. He was also the recipient of Willingway’s 2014 Employee of the Year award and is a staple in the Statesboro recovery community. Last March, CEO Cherie Tolley created a new executive role to oversee the operations of our extended treatment continuum of care and appointed John as the Director of Extended Treatment Services. Emily J. McFarland, Willingway’s alumni and community relations coordinator, spoke with John about Willingway’s extended treatment programs and his vision for the future of extended treatment in Statesboro. EJM: What are the current extended treatment programs in Willingway’s continuum of care? JW: We currently have three programs for women and four for men. Programs for women are Lee Street, The Women’s Residence, and Women’s SLE (short for “Sober Living Environment”, comparable to a 3/4 house program). Programs for men include the Men’s Lodge, Cornerstone, Broad 90, and Men’s SLE. EJM: What is the difference between a client who is appropriate for extended treatment and one who is appropriate for inpatient-only? JW: Whenever someone is admitted to our inpatient program, there are two main questions that are asked to determine whether or not the patient would be a good candidate for extended treatment, and the questions are really just two sides of the same coin. Would the person benefit significantly enough from the services offered in extended treatment to warrant them staying? Anyone would benefit from extended treatment, but is the benefit from the added structure and clinical services, the alcoholism/addiction education, the peer support, and the family program significant enough to warrant it? Furthermore, would returning home present a significant enough risk to make that not advisable? For instance, is the patient returning to a toxic relationship, a home where there is a lot of using, or are they returning to an area where there are not a lot of resources available– perhaps they live in a rural area where there are no 12-step recovery meetings or no clinical support, such as outpatient or counseling? It is also taken into account if the patient has been to multiple inpatient treatments with repeated relapses, if they have poor boundaries in relationships, legal issues, or health issues that present a serious risk if the individual doesn’t maintain sobriety. EJM: What excites you most about your change from inpatient to extended treatment? JW: I believe that both areas have their advantages and I certainly miss the intense individual counseling that I did as an inpatient counselor. However, being able to create and manage programs that really give people who have different needs opportunities to learn how to live sober a day at a time is an incredible and meaningful experience. When I was working inpatient, I would see some patients do well and some not, and when they left I would cross my fingers and say a prayer and would hope that things went well. But I didn’t really get to see how it all panned out. What excites me about extended treatment is that we actually get to see people grow and change right in front of our eyes – how they begin to interact differently with the world, how they start to look healthier, and how they begin to treat others, both their peers and families, with respect and love. EJM: What is your vision for the future of Willingway’s extended treatment programs? JW: I would like for us provide a variety of extended treatment options that would meet both the clinical needs and financial resources of anybody in our system that needs the help that extended treatment offers. EJM: How did going through the Men’s Lodge impact your recovery program? JW: When I came to Willingway as a patient, prior to coming here I was a counselor and an interventionist. At that time, I had been sober between 7 and 8 years and with all of that experience and knowledge I had in recovery and treatment, I still relapsed. So I found myself asking “Does any of this really work?” And really, I didn’t know what I didn’t know. I went through inpatient treatment at Willingway and I was unfamiliar with extended treatment and certainly had no intention of going. I wasn’t necessarily resistant to it, but I also wasn’t motivated to do it. It was recommended that I go to the Men’s Lodge and I wasn’t quite sure why, but my benefit was that I was so beat down and defeated, that I really didn’t fight it. It wasn’t because I thought that extended treatment was a great idea, it was just that I was done – just please tell me what to do – and I wasn’t really hopeful that anything was going to work. Extended treatment provided me with an opportunity to learn how to apply recovery in my day-to-day life. In our inpatient program, we talk a lot about historical events – what got me to treatment, what my use and life truly looked like – and we talk about the future – potential for things that may or may not happen and how we might deal with it. Extended treatment is a lot more of the here and now. I found myself living with a group of people that I didn’t always get along with- sometimes they made me angry, sometimes they cosigned my BS, which fostered unhealthy relationships. You have jobs where not everyone you are working with is in recovery and they may, with all innocence, ask you to do things that you know aren’t healthy for you to do. You don’t always get along with the boss, you don’t always want to do the things that you need to do. So extended treatment gave me real life opportunities to practice a 12-step recovery program on a daily basis, while living in a safe environment. I learned how to live a spiritual way of life as opposed to just going through the steps as an exercise. EJM: What sets extended treatment in Statesboro apart from other areas? JW: Not just because of Willingway’s programs, but also because of the many other programs that we have in town – including Pineland and all the halfway houses – coupled with Georgia Southern University and their Center for Addiction Recovery, we have a large number of young people in this recovery community. This creates a really strong support system specifically for young adults trying to live sober. EJM: What is something that patients often find themselves loving about extended treatment? JW: One of the most common things you hear when a patient finally agrees to go to extended treatment is “as soon as I’m discharged I’m leaving Statesboro, I’ll be outta here!” It’s funny to watch as that perspective changes and more than half end up staying in this area. When it comes time for our patients to finish their treatment, they have developed too much of a foundation, too much in terms of relationships and goals, to leave. The truth is that if our patients are able to just stay put and try for a better life a day at a time, things take shape that they never even imagined were possible. Things, in fact. they were convinced were impossible. It is amazing to watch people’s lives change in such a huge way. We thank John for taking time out of his busy schedule to speak with us and look forward to watch as Willingway’s extended treatment programs continue to grow under his care. To find out more about services offered by Willingway extended treatment programs in Georgia contact us 24 hours a day at 888-979-2140, and let us help you get started on the road to recovery.